Bryan Berg broke his own Guinness World Record for the largest house of freestanding playing cards at The Venetian® Macao. 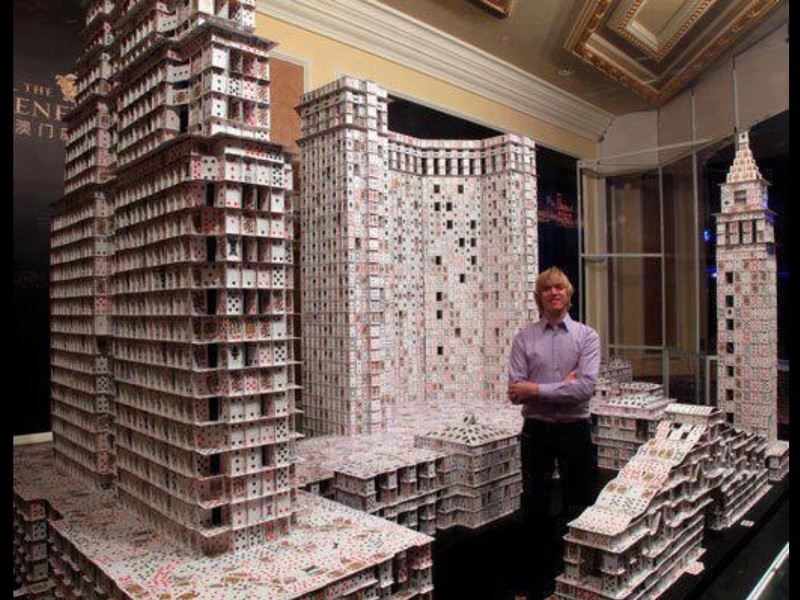 The buildings used more than 200,000 cards and took 45 days to complete. What A View! What A Fool! 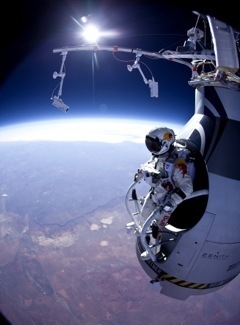 Felix Baumgartner is more than halfway toward his goal of setting a world record for the highest jump. According to a spokesperson, the skydiving daredevil took a practice jump of 13.6 miles over New Mexico from a pressurized capsule carried by a hot air balloon. A world record? a. At 13.6 miles isn’t he in space and therefore outside of the American flight zone? B. How do we know that a the Gortwerhubbots from Gurshilop 7 don’t bungee from the top of a small, local waterfall which is the equivalent of an Earthling leaping from the top of Mt. Kilimanjaro? We don’t know!